It’s Tax Season! Shop at Ed Koehn Ford Lincoln of Greenville for Your Auto Needs Today! 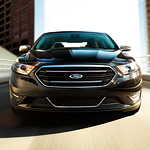 Where Can I Lease A New Ford Model in Greenville, MI? You can lease a new Ford at Ed Koehn Ford Lincoln of Greenville. With many fun Ford models to see and experience, we want to be your local Ford dealer where you can find everyday great prices and affordable leases on a new Ford in Greenville, MI. Why is leasing the finance option to choose and what model is right for you? Find out at our Ford dealership today! Why Buy from Ed Koehn Ford Lincoln of Greenville? If you're ready to take the plunge and purchase a vehicle, you'll first have to make the decision of whether you want to buy a brand-new model, such as a new Ford F-150, Ford Focus, or Ford Escape, or a used car, truck, SUV, or van. While both options have their downsides, they also come with plenty of benefits. Prepare For Winter By Servicing Your Vehicle Today! Winter is well on its way and before it arrives in full force, drivers from Michigan will want to prepare their vehicle for the snow, ice, and cold temperatures that will make an appearance before we know it. How do you prepare your vehicle for the winter? There are many routine maintenance and car preparations that you can do to ensure that your car, truck, SUV, or van is ready for whatever may come your way. You will now join the obsession of the Ford Focus ST. This high-performing hatchback comes with the choice of several eye-candy paint coats that makes the vehicle gleam from every angle. Passing pedestrians cannot ignore the striking exterior and your body is forced to pay attention to the comfortable interior. The Dual-Zone Temperature Control System regulates the climate for each passenger's preference, while they enjoy a smooth ride thanks to the high-performing suspension. Make hearts stop with the heart-pumping 2.0 Ecoboost Turbocharged engine. When it comes to performance, the 2019 Ford Fusion offers you many options. Go with the impressive 2.7-liter turbocharged EcoBoost® and you can take advantage of 325 hp and 380 lb.-ft. of torque with the standard all-wheel drive. Auto Start-Stop Technology automatically turns off the engine when you're at a stoplight or stop sign. The strategy saves you more fuel. The engine restarts instantly the minute your foot switches from the brake pedal. 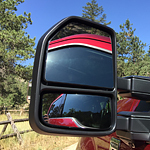 Ford is known for manufacturing reliable and innovative pickup trucks, and the 2018 Ford Super Duty hasn't fallen short. The 2018 pickup truck is a top choice at our dealership because it offers a plethora of class-exclusive features. To learn more about its productivity features, we invite you to read our summary below. Ford’s engineers have once again reinvented full-size sedans with their 2018 Taurus. This sporty and aggressive vehicle is the perfect blend of form and function, and it might be the sedan of your dreams. Once you get behind the wheel of this car, you are sure to fall in love.